Kathmandu–The World Tuberculosis Day is being marked around the theme - ‘It’s time’, across the globe, including in Nepal, amidst various programmes today. Meanwhile, the Centre said that the TB prevalence survey it had been conducting has reached the final stage. Dr Tinkari said that 80 per cent of the survey has been completed. The survey is the first of its kind in Nepal conducted among 57,610 people in 99 clusters in 55 districts with the use of paperless technology. The objective of the survey begun in 2017 is to carry out chest examination and sputum test of 60,000 suspected cases, on the spot. 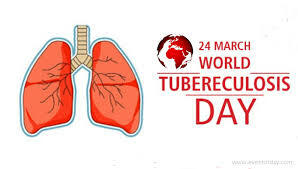 Each year, the World Tuberculosis (TB) Day is commemorated on March 24 to raise public awareness about the devastating health, social and economic consequences of TB, and to step up efforts to end the global TB epidemic. The date marks the day in 1882 when Dr Robert Koch announced that he had discovered the bacterium that causes TB, which opened the way towards diagnosing and curing this disease. WHO states that TB remains the world’s deadliest infectious killer. Each day, nearly 4500 people lose their lives to TB and close to 30,000 people fall ill with this preventable and curable disease. Global efforts to combat TB have saved an estimated 54 million lives since the year 2000 and reduced the TB mortality rate by 42%. To accelerate the TB response in countries to reach targets – Heads of State came together and made strong commitments to end TB at the first-ever UN High Level Meeting in September 2018. This World TB Day, WHO has called on governments, affected communities, civil society organizations, health-care providers, and national/international partners to unite forces under the banner “Find. Treat. All. #EndTB” to ensure no one is left behind.